Two candidates from main-ruling Maldivian Democratic Party (MDP) has secured two seats in the bi-election held on Saturday to elect councilors for the vacated seats of Haa Alif Filladhoo Council. Four candidates contested in the election, with two candidates from opposing Progressive Party of Maldives (PPM) vying for the same seats against the MDP candidates. The preliminary results of the bi-election show tat MDP candidate Abdulla Riyaz received 352 votes while Mohamed Shiyad from the same party followed behind with 289 votes. 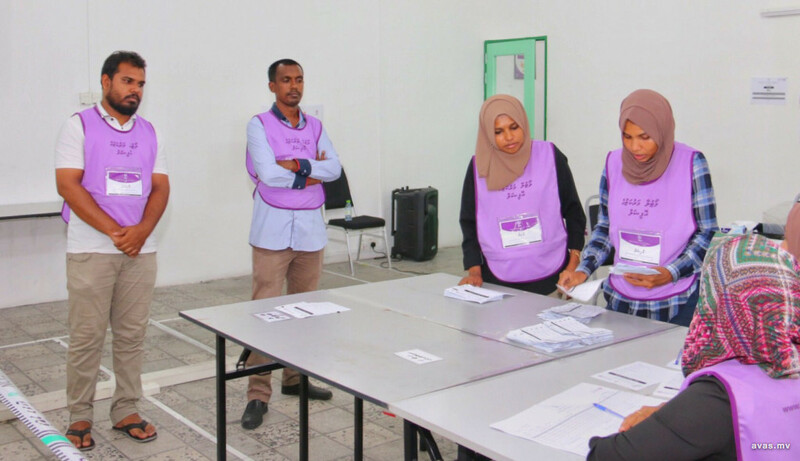 Opposing candidates Mohamed Moosa received 283 votes while Mariyam Zoona received 184 votes. Saturday's bi-election was held after two out of the three elected councilors of Filladhoo council resigned from their posts, leaving two seats vacant.